The Gwinnett County Elections Office was full to overflowing ahead of its 2 PM meeting on Tuesday to certify the county's votes. A judge's order to count several hundred ballots that had previously been rejected forced the county to delay certification until Thursday at 5 PM . Photo credit: Jordan Wilkie / WhoWhatWhy. Election officials in Georgia’s second-largest county are scheduled to announce completed vote tallies this afternoon — but they may wind up doing so in violation of federal law and state guidelines. One thing seems certain: Those looking for closure and a definitive answer on who won, how many votes they got, and whose vote should have been counted will be disappointed. The Thursday meeting is the second this week for the Gwinnett County Board of Elections and Registration, after 10 days of court battles, closed-room deliberations, conflict, and chaos. Regardless of the results, Stephen Day, board chairman, had already declared to WhoWhatWhy toward the end of an 8½-hour meeting Tuesday that the board would not be counting hundreds of absentee mail-in ballots. By declining to do so, the board may be ignoring guidance from the secretary of state’s office that would have allowed it to consider any ballots previously rejected for “immaterial” errors. Activists wore red sashes to signify the sacrifices Americans have made for the right to vote. 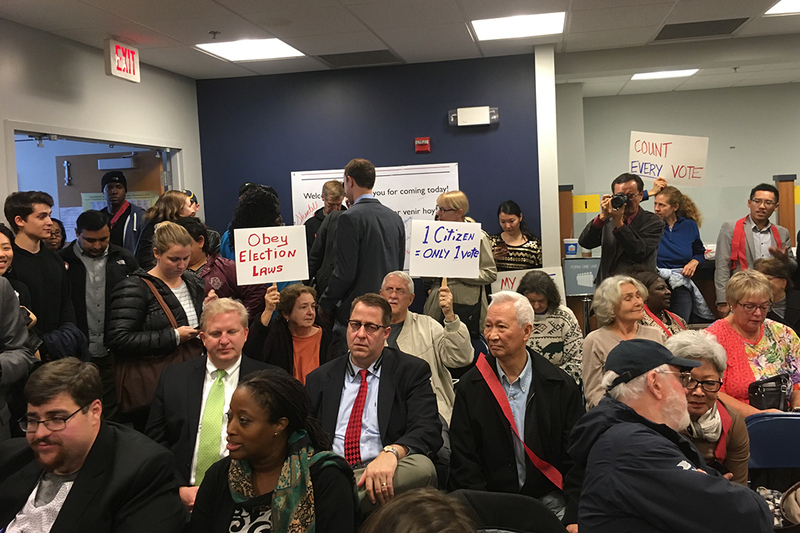 Other activists sitting behind lawyers for the Republican candidate held signs demanding Gwinnett’s election board obey election laws. Photo credit: Jordan Wilkie / WhoWhatWhy. The State Board of Elections has the authority to issue fines of up to $5,000 for each election code violation. When dealing with absentee ballots, the board typically issues fines at a rate of $100 per ballot for a violation. Worley is not sure if the board would be able to sanction Gwinnett for not counting these ballots, as it is federal law — not state law — that requires ballots with only immaterial mistakes to be counted, though he said it could be considered. Worley said he spoke for himself, not for the board. Meanwhile, Carolyn Bourdeaux, Democratic candidate for Congressional District 7, who is trailing Republican incumbent Rob Woodall by 533 votes, filed an emergency motion in federal court Thursday morning to force Gwinnett to count more of those absentee mail-in ballots. To have any chance of catching up to Republican incumbent Rob Woodall, Bourdeaux needs every one of the previously rejected ballots to be counted. Just after 12:30 PM, US District Court judge Leigh May denied the motion. 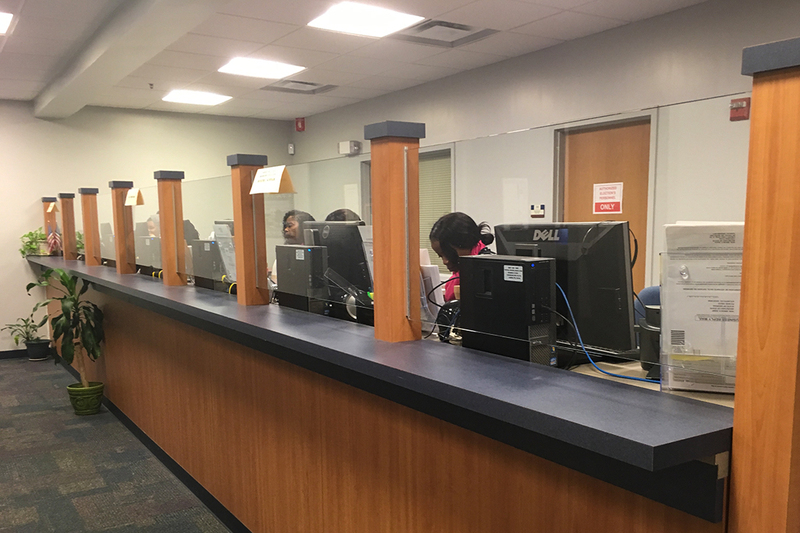 The Gwinnett board of elections and registration decided which absentee ballots to review in an executive session called shortly after a scheduled meeting began at Gwinnett’s department of elections and registration Tuesday afternoon. 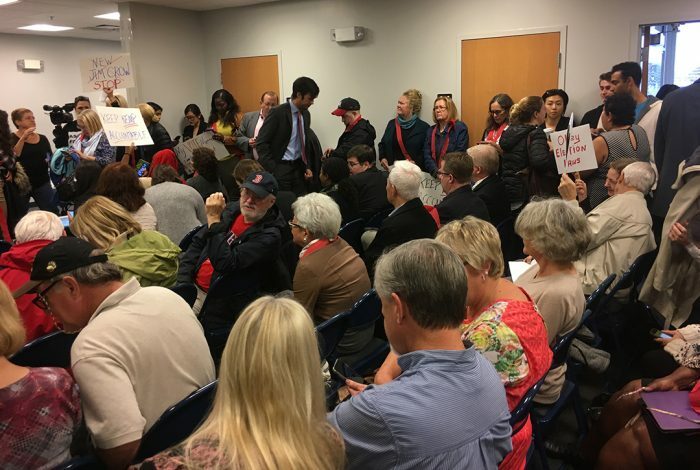 The meeting room off the lobby was crammed with a standing-room-only crowd of county residents, activists, attorneys, political operatives, and reporters. About a dozen people observed from the hallway. In calling for the session, the board chairman left about 65 people waiting for more than an hour for the public meeting to resume. Only hours earlier, a federal judge had ordered the county to count all absentee, mail-in ballots containing problems with signatures or birth dates; the closed, executive session was called to discuss how the board would respond to the judge’s order. At the end of the night, only lawyers for the political parties, journalists and election observers remained. Photo credit: Jordan Wilkie / WhoWhatWhy. After returning from the closed session to the meeting room, Day announced that provisional ballots cast on Election Day would be reviewed and counted by a dozen or so county employees who were seated at tables on the other side of a glass partition in the same room — and that the absentee, mail-in ballots with birth date issues would be reviewed and counted during the following days. That meant the board would not be reconsidering the largest category of absentee, mail-in ballots that the county had earlier rejected; these were ballots whose only problems were “insufficient oath information,” a catch-all term that board members were hard-pressed to describe or explain. The decision all but guaranteed that Bourdeaux would not be able to make up the 533 votes needed to catch Woodall, as there are only about 399 ballots in the categories the board decided to review. More than 280,000 voters cast ballots in the contest. That such an important decision was not made during a public session would seem to violate Georgia’s open meeting laws. The closed session was called to discuss “litigation.” But the secretary of state’s guidance, directed at all 159 counties in Georgia, was entirely separate from the lawsuits filed against Gwinnett County, and so by law should have been discussed in a public session. 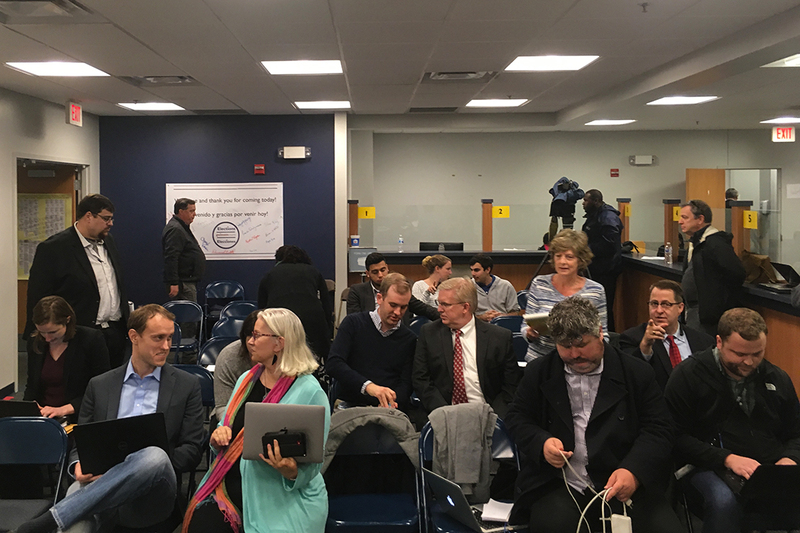 In the meeting room, not far from where the provisional ballots were counted, the five board members sat at folding tables only a few feet from seven rows of plastic chairs meant for the public. Asked by a member of the public if the board’s decision about which absentee, mail-in ballots to review would be announced and explained, Day said, “You will see our decision by what we do.” The chairman later told WhoWhatWhy that there was “spirited debate, where all sides were heard” on the issue — but only out of public view. Alice O’Lenick, a Republican appointee to the board, told WhoWhatWhy that public comment on the issue would likely come in the opening remarks of today’s 5:00 PM meeting to certify the election. That came as a surprise to Day, a Democratic appointee and the member responsible for opening statements at public meetings. The plan to have staff review about 2,400 provisional ballots cast on Election Day was implemented because voters were forced to use the ballots for reasons that ranged from the failure of electronic equipment to arriving at the wrong precinct. The decision to review absentee, mail-in ballots in the following days was brought on by the court order. 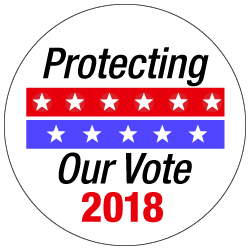 After announcing both actions, and because reviewing the provisional ballots would take hours, Day decided to open the proceedings to nearly three dozen members of the public who wanted to weigh in on the wheels of democracy turning before their eyes. She was referring to a September decision by a federal judge that allowed the state to use voting machines that are notoriously prone to glitches and impossible to audit instead of going to more secure paper ballots. Smythe DuVal, the Libertarian candidate for secretary of state in the midterm, asking Gwinnett’s election board to double-check the results from voting machine memory cards in precincts where there were irregularities on Election Day. Photo credit: Jordan Wilkie / WhoWhatWhy. But shining a light on what was occurring only several arm-lengths away was not to be. After all members of the public had spoken their mind, the board, and the public, could only wait for the provisional ballots to be reviewed, and counted. As the evening wore on, people began leaving. By 8 PM or so, only board members, attorneys, political operatives, and reporters remained — plus staff members reviewing provisional ballots. 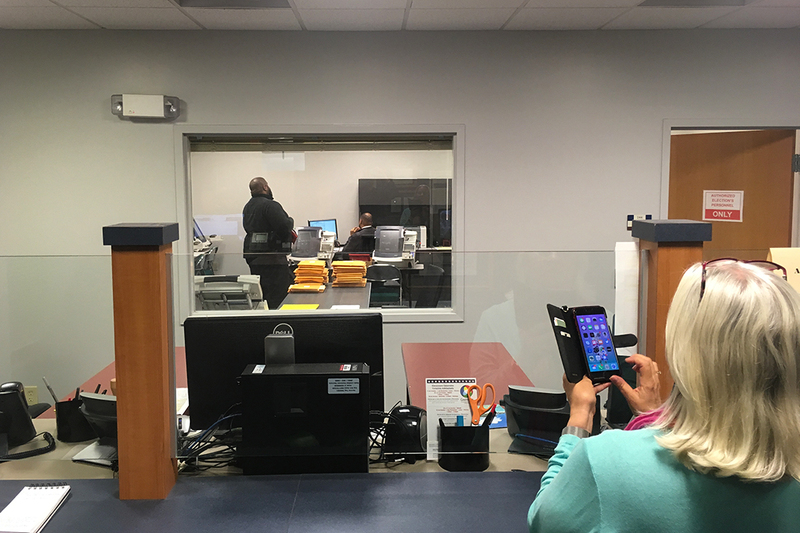 At one point, Marilyn Marks, a poll watcher with the Libertarian Party, asked several board members and then Van Stephens, deputy county attorney, if she could enter the side of the room on the other side of the glass panel to observe staff as they reviewed provisional ballots. Stephens said he would let her know “in the morning” — that is, after the meeting was over. Hours later, as the meeting ended, Stephens said he had reviewed applicable law and determined that standing on the other side of the panel was “adequate observation,” Marks wrote WhoWhatWhy in an email. Marks is also executive director of the Coalition for Good Governance, an election-integrity nonprofit that has organized and funded lawsuits against Gwinnett and the secretary of state over the high rejection rates of absentee mail-in ballots. The process was held in public view — there was a waist-high wall topped by a glass panel separating the public from the staff — but Marks was not able to get close enough to observe if any mistakes were made. Elections staff were kept in the office researching, scanning, and duplicating provisional ballots late into the night. The votes were not uploaded until well after 10 PM on Tuesday. Photo credit: Timothy Pratt / WhoWhatWhy. Georgia law says poll watchers “may be permitted behind the enclosed space for the purpose of observing the conduct of the election and the counting and recording of votes,” but that right can be limited by “reasonable regulations” invoked by a poll manager or other supervising elections official. Board members at Tuesday’s meeting prevented Marks from being able to meaningfully observe the duplication of ballots, the counting of votes using optical scanners, or the uploading of results to the county’s computer server. This is as close as poll watcher Marilyn Marks could get to observe votes being uploaded to the county’s system. Gwinnett’s process has been visible, but largely from such a distance as to be meaningless. Photo credit: Jordan Wilkie / WhoWhatWhy. 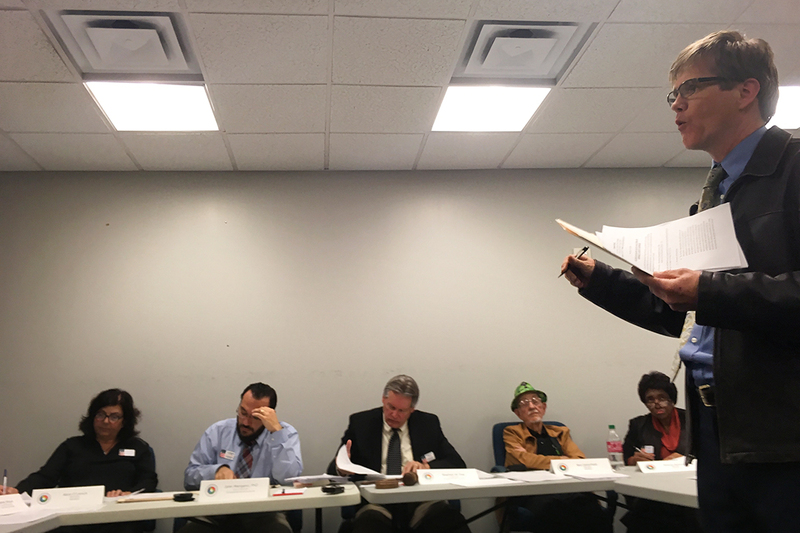 As the night wore on, the few remaining people in attendance observed the five board members seated at tables in front of the meeting room, as they received stacks of papers containing recommendations for approving or rejecting the approximately 2,400 provisional ballots being evaluated on the other side of the room. The idea appeared to be that the board would in turn evaluate the recommendations. Day repeatedly asked a staff member questions about the recommendations, but none of the details were explained. At one point, board member John Mangano stood and went to observe the review process. Around the same time, board members Ben Satterfield and Beauty P. Baldwin appeared to lose interest in evaluating the recommendations; Satterfield mostly stared into the distance, and Baldwin looked down at her phone. By 9:58 PM, Day turned his attention to the room and began announcing the categories of provisional ballots that would be accepted. A 12-page document was soon handed out to the room. Bourdeaux had gained 368 votes on her opponent, but was still short by 533 votes. At 10:30 PM, Day drew his gavel down, closing the meeting, and drawing Georgia’s 2018 midterms closer to completion.